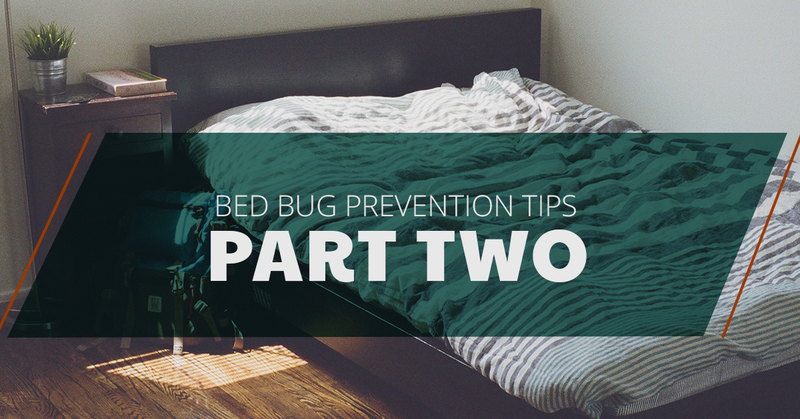 In part one of our blog series on bed bug prevention, we talked about a few things that you can do to prevent having bedbugs in your home. From being cautious in hotels on vacation to taking the proper precautions when using laundromats, there are plenty of things that you can do to help ensure that your home is bed bug free. Concluding in part two, here are two more ways for you to ensure that your home is clean and free of bed bugs. At Northwest K9 Bed Bug Detectives, we serve the greater Seattle area with top-notch bed bug extermination and treatment services. 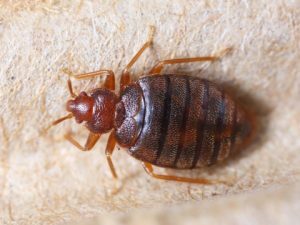 Whether you’re suffering with a current bed bug infestation or suspect that you may have bed bugs, Northwest K9 Bed Bug Detectives are here to assist you with all of your Seattle bed bug extermination and treatment needs. To learn more about our services, contact us today. Here and now, it’s incredibly common for people to repurpose and reuse items rather than purchasing new ones. Whether you’re shopping at a thrift store, antique shop, flea market, or estate sale, being able to find a new use for items that would otherwise be discarded is a great way to reduce waste and support worthy causes. However, in addition to making sure that these items are clean, another thing to be mindful of is the possibility of bed bugs. Especially when dealing with items found at thrift stores, it’s imperative to do a thorough inspection of any furniture or clothing item that you may consider buying. As we stated in our previous blog, when looking at a couch or sofa, be sure to inspect the cushions and other parts of the upholstery for telltale signs of bed bugs or possible bed bug activity. If looking at clothing, be sure to inspect the article thoroughly to ensure that it is free of bed bugs as well. Bed bugs can find their way into a wide variety of items, including the spines of books. For all of you thrifters out there, be cautious when purchasing any second hand item. While you may be thrilled to find the antique china hutch or mid-century modern chair of your dreams, it may end up being too good to be true. At the end of the day, no matter how cautious you are of your home and the items that you choose to bring into your home, bed bugs can find their way inside in more ways than one. While no one chooses to have a home that’s infested with bed bugs, it’s best to be aware of your surroundings to avoid accidentally inviting them into your home. If you hear of someone else in your neighborhood or social circle currently struggling with a bed bug infestation, be sure to take the proper precautions and thoroughly inspect your home to ensure that you aren’t at risk as well. Those are two more things that you can do to ensure that your home is clean and free of bed bugs. If you are struggling with an infestation or suspect that you may have bed bugs, you need the help of an experienced professional to help you rid your home of these pests. If you live in the Seattle area, Northwest K9 Bed Bug Detectives is here to assist you in the eradication of bed bugs in your home. Using specially trained dogs like our faithful friend Magic, we are able to successfully trace and find bed bugs in your home, and remove them without the use of pesticides or other harsh chemicals. 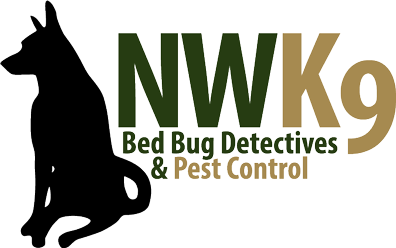 For all of your Seattle bed bug extermination and treatment needs, contact Northwest K9 Bed Bug Detectives today!